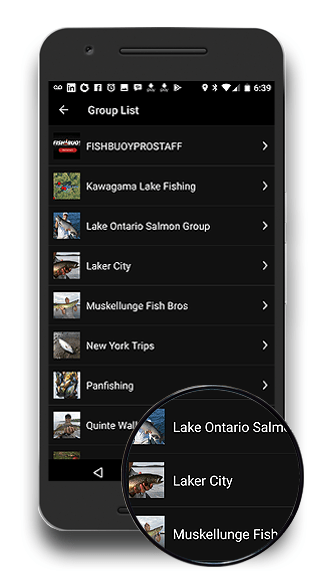 Groups offer a convenient way of organizing your catches by fish species, lakes/rivers, lodges/resorts, location, etc. 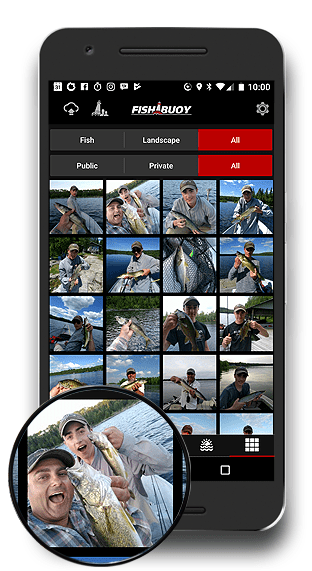 Allow group members to invite others and/or share photos within the group. 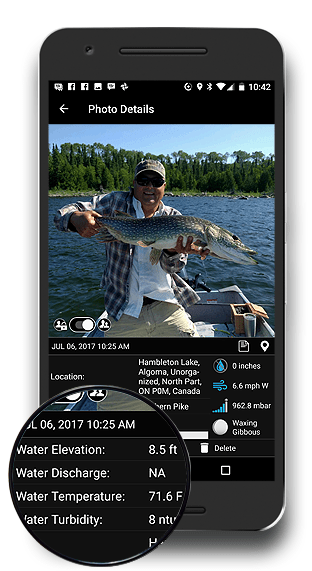 When you share a fish photo, you share all the associated information including location, water and weather conditions and primary bait color. 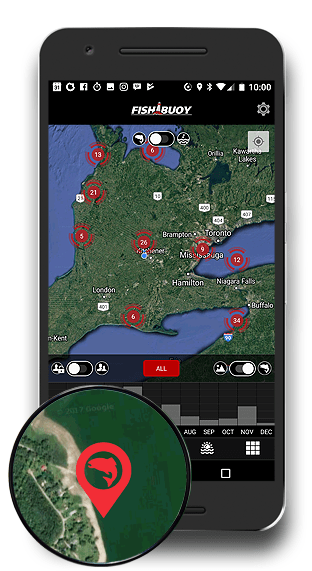 A combined view of fish catches will help you learn when and where to fish. KNOW YOUR WEATHER, PLAN YOUR DAY RIGHT. 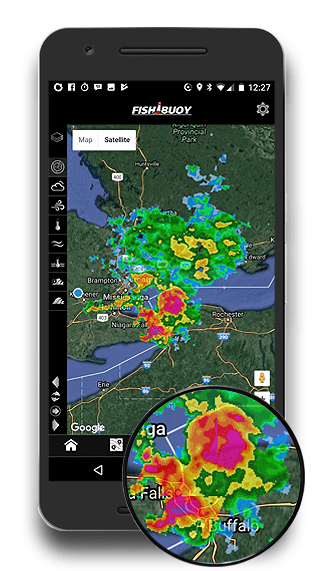 Get up-to-date doppler weather maps showing precipitation events and intensity. Whether planning a fly fishing trip or hitting the lake, gain a better understanding of wind conditions before you head out. Direct from Enviroment Canada, determine whether to bring your Maui Jim sunglasses, rain gear or sun screen. Not to mention, don't forget your low-light lures! Are you heading into icy cold temperatures that will freeze your guides, or sweltering heat that will kill your minnows and live bait in a few hours? Know what you are heading into. LEARN THE EFFECTS WATER CLARITY HAS ON BAIT COLOR. The Silt/Mud Slider is an effective tool for estimating water turbidity in rural and agricultural areas with clay-laiden substrata. Drop your bait at least one foot into the water. Observe and match what you see using the slider to estimate your turbidity value. HINT: Experiment with hot pinks, chartreuse, hot oranges and black colors! The Tea-Stained Slider is an effective tool for estimating water turbidity in areas often surrounded by marshes, coniferous and deciduous forests, or on igneous rock formations. Drop your bait at least one foot into the water. Observe and match what you see using the slider to estimate your water turbidity. HINT: Experiment with yellows, chartreuse, whites and oranges in these waters! The Algae Stained Slider is an effective tool for estimating water turbidity in areas often surrounded by marshes and agricultural areas often carrying high phosphate and nitrate loads. Drop your bait at least one foot into the water. Observe and match what you see using the slider to estimate your water turbidity. HINT: Experiment with whites, yellows, peaches, blues, chartruese and blacks! 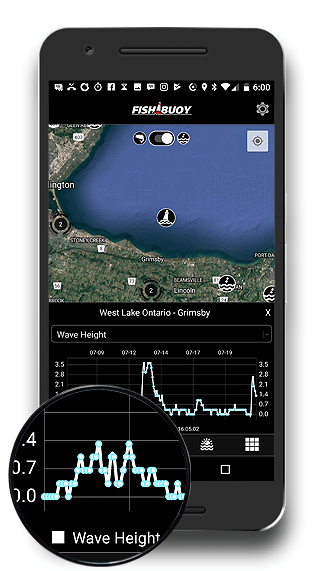 The Great Lakes/Ocean Slider is an effective tool for estimating water turbidity in large water bodies with generally clear, deep water characteristics. Drop your bait at least one foot into the water. 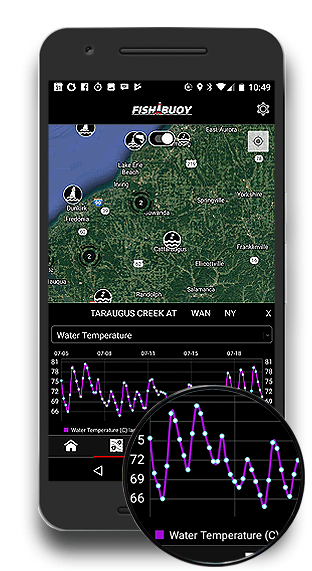 Observe and match what you see using the slider to estimate your water turbidity. HINT: Experiment with blues, greens and silver colors! If you fish in deep water, whether trolling, jigging or still fishing, you can be more effective at catching fish if you better understand how depth and light penetration affect lure colors. Use this unique tool to help you pick color that are actually visible at certain depths. PICK THE RIGHT COLOR WHEN FISHING DEEP WATER. 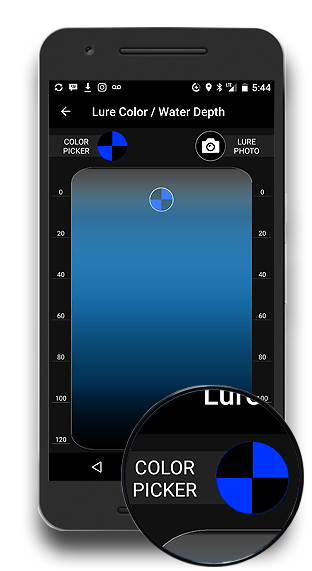 Select from a wide range of colors to determine which lures colors are visible at certain depths. 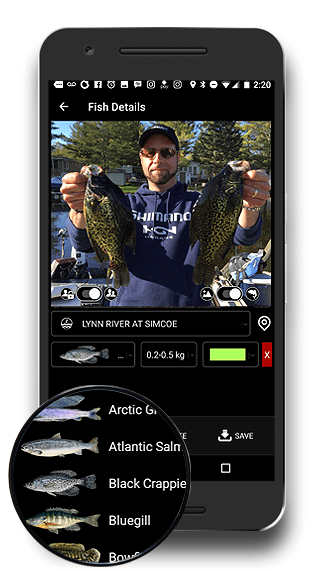 Simply select your color, or take a photo of your bait, and use the slider to determine how your lure will look. This feature is based on the light and water depth light spectrum. 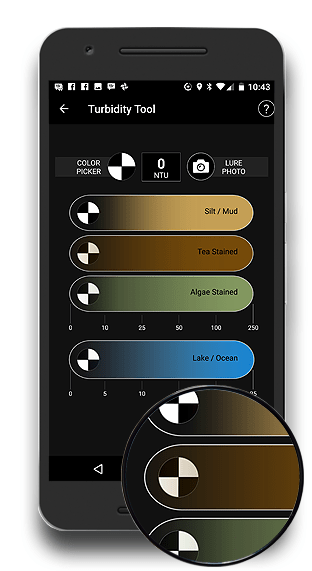 Select from a wide range of colors to determine which lures colors are visible at certain depths. 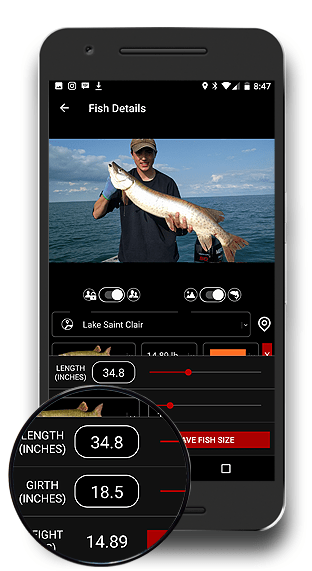 Simply select your color and use the slider to determine how your lure will look at specific depths. 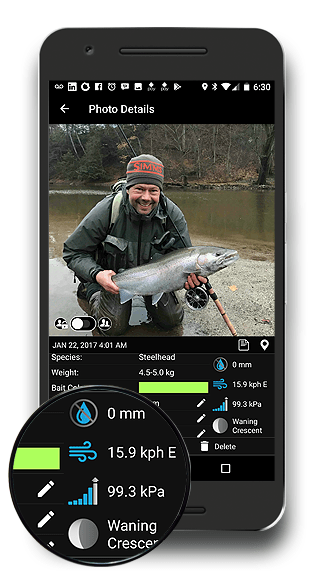 This feature is based on the water depth - light spectrum and can be very useful when fishing water types you are unfamiliar with.